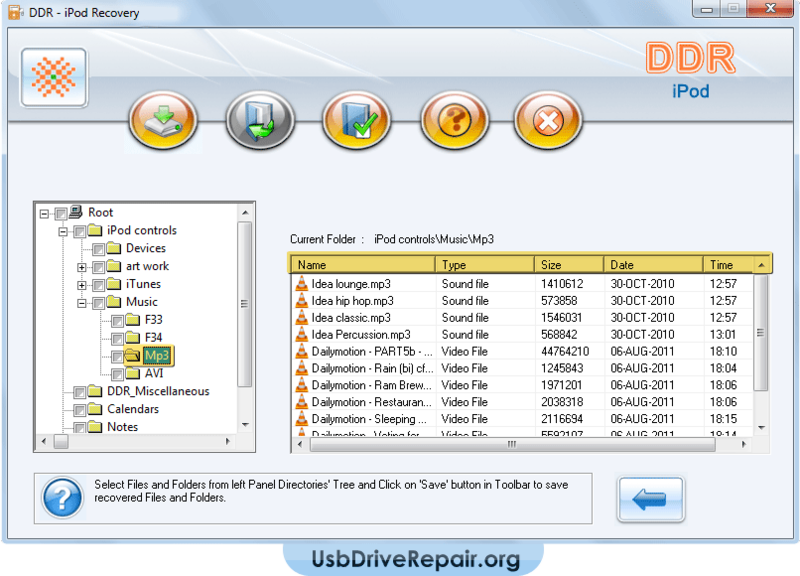 Recover all lost or deleted song collections, music files, podcasts, photos and more from your iPod music player with iPod data recovery software! iPod data recovery software provides economical and easy way to recover your favorite song collections and music files lost from iPod music player. Program provides solution to easily get back mp3 files, audio collections, video files, photos and digital images mistakenly erased from corrupted and logically damaged iPod audio player. Software is compatible with all generation of Apple iPod music player models including iPod Mini, iPod Nano, iPod Classic, iPod Shuffle and others of first to next generation series. Software uses high-end data searching technique for automatic recovery of lost music files without any expert guidance. Select removable media, searching mode (Standard Search or Advance Search) and click on Next button to continue. Select the partition from which you want to recover lost or deleted data files and click Next button. Deleted data recovery is going on. You can stop recovery process by clicking on 'Stop Search' button. However, it is strongly recommended that you should allow the software to complete the searching process. Data is recovered successfully. If you want to save your recovered data, select files and folders from left panel and click on 'Save' button in toolbar. Audio-Video songs accidently deleted due to human error. Songs lost due to frozen or logically damaged iPods. Songs corrupted due to improper iPods updation using iTunes software. Music files lost accidently during re-setting iPod song player. 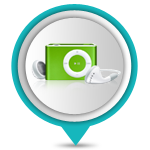 Recovers lost audio-video songs, mp3 files and digital images from iPod music player. Save entire or selected recovered music files at user defined location. Supports major music files such as Video files (mov, m4v, mp4), Audio files (mp3, aiff, wav, aac, aa), Image files (jpeg, tiff, gif, bmp, psd) etc. The advanced searching technique quickly locates lost music files. Simple data recovery steps and no expert guidance needed to understand the software.